I started to write this post on the Amtrak down to Washington, D.C. As I sat on the train, I could not help but be contemplative about the next major step in my life while simultaneously being reflective of the incredible journey thus far. 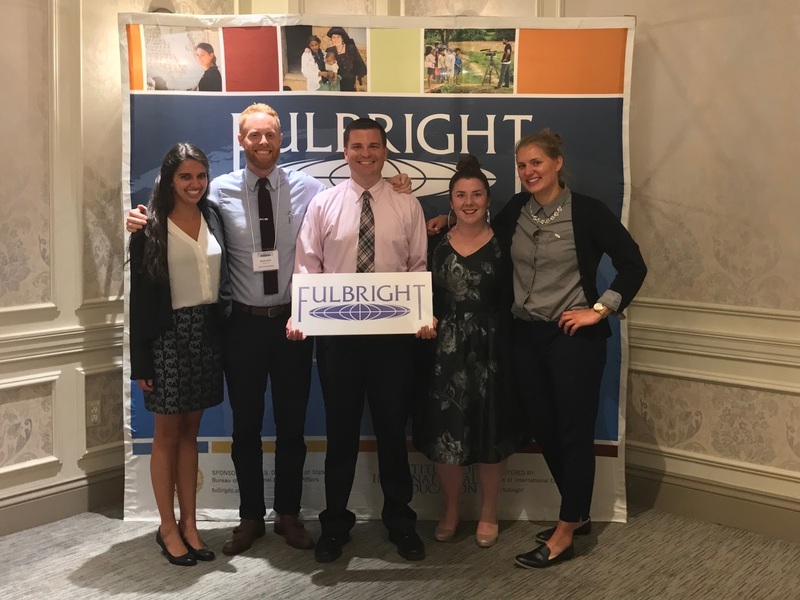 This Fulbright orientation has been over a year in the making – I applied almost a year ago today, and found out that I was accepted into the program in April. 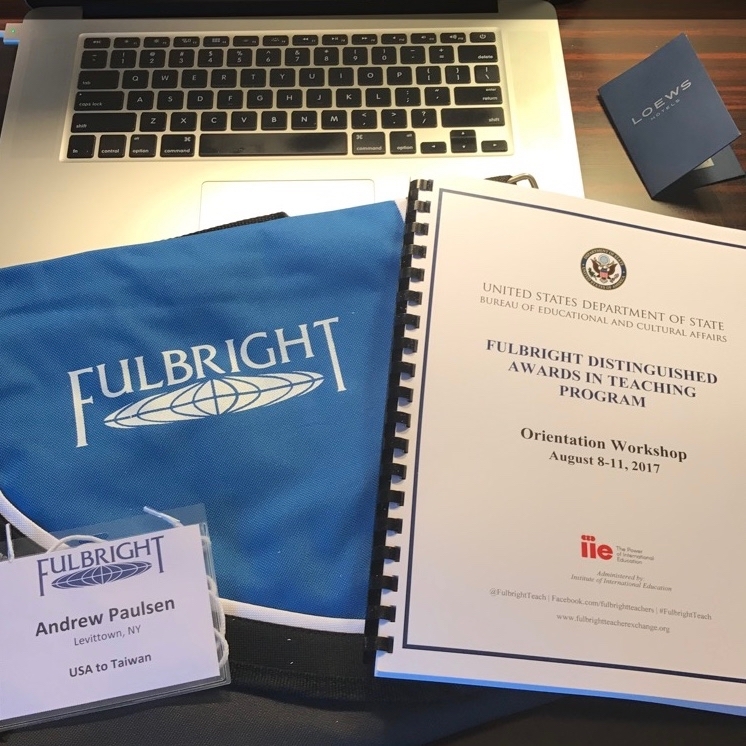 As I read through the list of Fulbright grantee’s from around the world and their inquiry project proposals, I became increasingly excited to meet some of the best educators our world has to offer. During the orientation, we learned about intercultural discovery, communicating across cultures, and the extensive logistics of the program. Senator J. William Fulbright, who sponsored the landmark legislation that later became known as the Fulbright Program in 1946, had this vision that if we knew people from other countries, we would be less likely to go to war with those countries. In 2017, we are constantly confronted with serious and legitimate challenges in the modern world. I am of the belief that no one country can solve these issues alone; people from around the world must come together to solve increasingly complex problems such as climate change, global poverty, or even violent extremism. I am beyond excited about spending 2018 abroad in Kaohsiung, Taiwan. As I alluded to in an earlier post, once I arrive in Taiwan, I will be researching eastern pedagogical approaches at National Kaohsiung Normal University, and consider how to implement best practices in sustainable and culturally responsible ways. 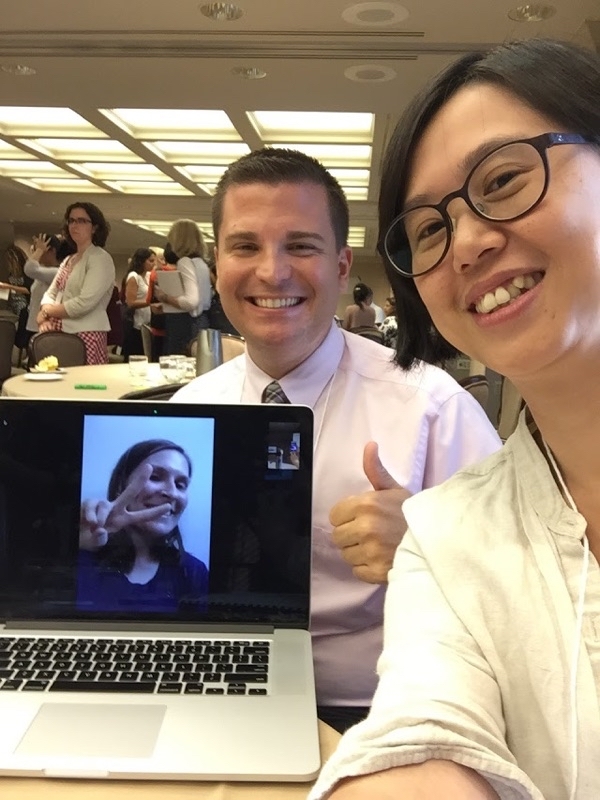 During the orientation, I was able to spend a lot of time with Michelle Nien-Ching Chuang, a Fulbright Teacher from Taiwan that is studying the American education system at Indiana University this fall. She taught me all of the ins- and outs- of the Taiwanese education system, the delicate challenges facing students in Taiwan, and how to pronounce Kaohsiung correctly (it is pronounced “gow – shuung” and is written in Mandarin as 高雄). Although I have had the opportunity to travel abroad many times in my life, I have never spent more than a month overseas. It will be hard saying goodbye to many people, but I am definitely looking forward to the extended time away from everyone that I know and away from western culture, too. I also wonder if I will experience culture shock, and, if so, to what extent. 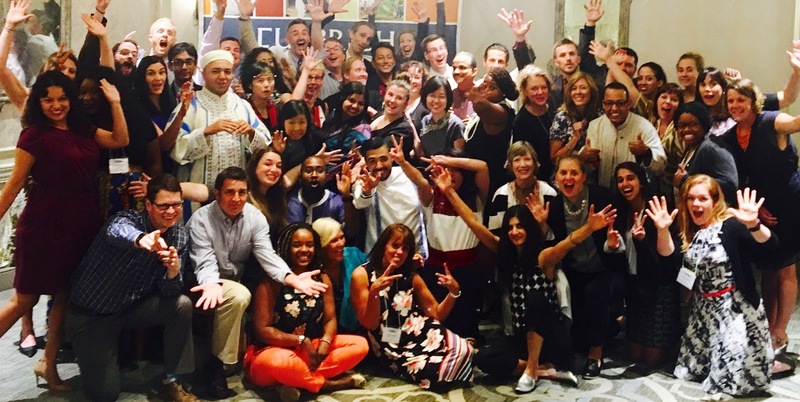 The Fulbright commission did a really great job explaining the various stages of culture shock that most people go through when they are abroad, including the “honeymoon” stage, initial culture shock, adjustment, adaptation, and re-entry shock. This week-long orientation was unequivocally the marquee event of my summer, which has truly been special. This has also been the first summer in which I have not had any graduate studies to worry about, meaning that I have had a significant amount of down time to recharge and reflect about life. I have been fortunate to have the time to read a plethora of books and spend a lot of time out on the golf course, too. 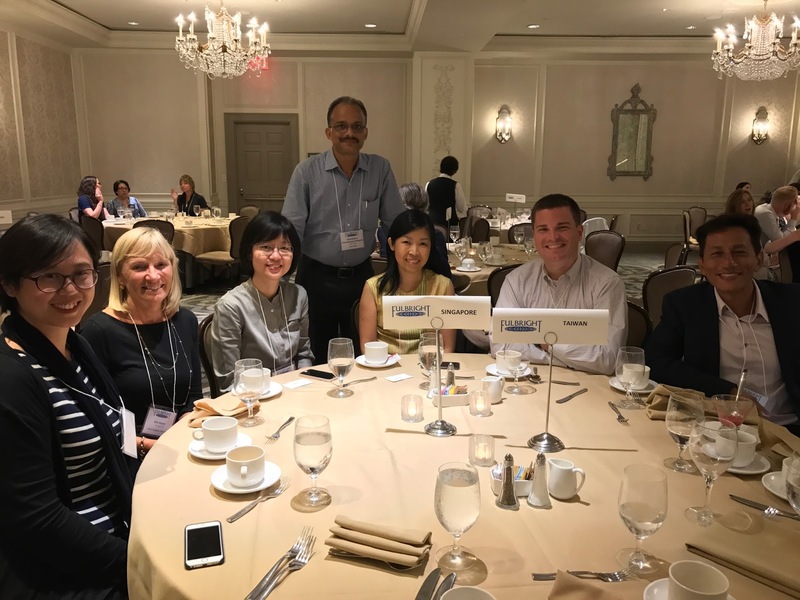 I have also spent a considerable amount of time working as a teacher coach and educational consultant, which has been an incredible learning experience. I have spent a majority of my time this summer leading professional development and coaching teachers in the Philadelphia Schools, the Newark Public Schools, and the NYC Department of Education. In NYC, I was excited to help support the mayor’s “Excellence for All” Initiative, specifically in the DOE’s Algebra for All program throughout the city. My experience varied daily, as did the teacher quality from school to school. It is one thing to talk about educational policy on the 30,000 feet level, and another altogether to actually see the achievement gap being closed or expanded depending on which school I was at. Some of the best educators our world has to offer. It truly was a pleasure working with them! Just last week, I was honored to be featured on the closing panel of the annual conference of CMSM in Scottsdale, Arizona, which explored the future of religious life in this country. The panel, moderated by my friend and mentor Marist Brother Seán Sammon, explored what the leaders of religious congregations across the country need to better connect with the next generation. I lead a provocative discussion about the need for an inclusive church that truly looks out for the most vulnerable and those on the margins on society. I look towards the leadership of people like Cardinal Joe Tobin, who strives to build bridges, not walls. During the closing session at CMSM with Brother Seán, Ryan, and Duffy. Anyone that remotely knows me understands just how much I love teaching, which I personally consider a vocation that means infinitely more to me than just a job. For me, there is no greater feeling than standing in front of a classroom of our future leaders, or helping a student learn something they previously thought they never could. I love serving the students and families of Newark, NJ, and know that I will miss them immensely when I travel abroad in less than five months. Many people have asked me what will I do when I return, but I am not sure yet. The State of New Jersey issued my principal certification a few weeks ago, but I honestly do not know where I will find myself when I return stateside at the end of next summer. As it could be said, I am at a particular point on my journey. I have no clue if anything I think is right, but it’s the truest answers I have found thus far.